Item is a photograph of the Bras d'Or Lakes. Item is a photograph of the Bras d'Or Lakes from the souvenir album "Souvenir of Cape Breton." 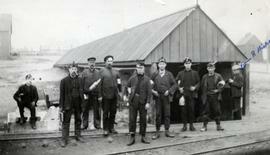 Item is a photograph of the employees of the #4 Colliery, Bras d'Or, Cape Breton. Robert Dickson, manager, is highlighted in the photograph. Item is a photograph of Rev. M.A. 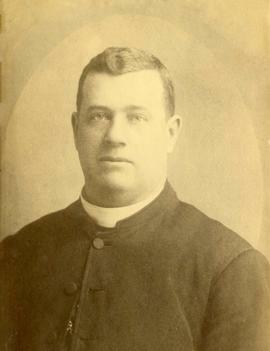 MacPherson, a parish pastor in Bras d'Or who died in 1913. Item is a composite photograph showing St. Joseph's Church in Bras d'Or, Fr. M.A. MacPherson and St. Joseph's Glebe. Item is a photograph of a steamer close to New Campbellton on the Bras d'Or Lakes from the souvenir album "Nova Scotia."